By now most of us are well on our way to “Preparing the Way.” Unlike John the Baptist’s plaintive cry to clear a straight path, fill every valley, and level every mountain, our preparations find us harkening back to the Christmases of our childhood, so that we might capture the love and joy that we imagine awaits us if only we prepare to do Christmas, the way it was done way back when. Right about now, in gatherings all over the place people are telling stories about how it was “way back when.” You know, “way back when” people knew just how to prepare the way for Christmas. I remember way back when I was just a little girl, you know long, long, ago, way back when Christmas celebrations were so different. Way back when I was a child, we didn’t hang fancy, specially dedicated stockings on the chimney with care, in hopes that St. Nicholas soon would be there. No, way back when, people didn’t have the money to waste on special, fancy, Christmas stockings that were only used once a year. Way back when, we just went into our sock draw and pulled out the largest sock we could find, and we hung it up, in the hope that if we’d been good, our stockings would be filled with treats, instead of the dreaded lump of coal that our parents had been threatening us with for weeks. Come Christmas morning, way back when, we were happy when our sock was filled not with stocking-stuffers like we have these days, but with the same thing we got every Christmas in our stockings, an apple, an orange, a few toffee’s and a couple of coins. You see way back when, fruit was seasonal and fresh apples and oranges were a real treat. These days we can haul crates of tiny delectable oranges from the grocery store all year long. But, way back when, oranges at Christmas time, they were a real treat. I never did like oranges very much, so I would always try to trade my orange with my brother so that I could have two apples instead. You see, way back when, children were easier to please and Christmas was different. Which leads me to another story. I don’t remember when or where I first heard this story about way back when, World War II had just ended, and refugees were loaded into camps until the world could figure out what to do with the millions of displaced people. Back then, refugee camps were filled to overflowing with children who’d lost their families during the war. Apparently, there was this little boy in a camp in France, we’ll call him Andre. Andre couldn’t have been more than about seven years old and he could barely remember the family he lost almost three years before the war ended. He’d been living in the refugee camp, more of an orphanage really, for almost a year. It was one of those marvellous sunny days on the West Coast, when you can see the mountains rising in the distance, their snow-caps reaching up to the sky. Joan was delighted that the weather had chosen to co-operate. It had been a long hard week and a day on the beach was just what the doctor ordered. Her boys were even co-operating. Chatting away in the back seat, arguing over which one of them was going to build the biggest sandcastle. Jimmy, her eldest, considered himself quite the little builder. He approached the construction of a sand-castle with the kind of vigour that made his engineering father proud. Just six-years old and already Jimmy knew the importance of careful preparation. He was explaining to his little brother David that you have to pick just the right spot for your sandcastle. You have to make sure that you build your castle close enough to the water so that you can make the sand all mushy, but not too close, or else once the tide begins to come in, your castle will be flooded too quickly. Joan smiled to herself. She was delighted that now that David had finally made it through the terrible twos, he and Jimmy seemed to be getting along much better. She had absolutely no idea that every word of their childish conversation would be etched into her memory for the rest of her life. She didn’t see the car that hit them. To this day, Joan has no memory of how it happened. All she can remember is Jimmy’s last agonizing cry. Little Jimmy, who in his six short years, grabbed onto life with such intensity, was killed instantly. On a beautiful sunny day on the West Coast, Joan’s world ended. Life as she had known it was over. Joan’s world ended when Jimmy died. Karen and Bill had been working for hours on the new nursery. There wasn’t much time left. The baby was due in just eight weeks and so very much still needed to be done. But at least they had finally finished the painting and papering. They were admiring their handiwork when Karen’s water broke. In the car on the way to the hospital, Karen tried to reassure Bill. Over and over again she told Bill that lots of first babies arrive early. After 20 long hours, Michael was born. The doctors carefully explained that Michael’s spine had not developed properly. They assured Karen and Bill that he would be alright, but unfortunately, he would never be able to walk. On the morning their son was born the life that Karen and Bill had looked forward to was over. Karen and Bill’s world ended when Michael was born. Mary loved her job. She was a high-powered executive with a company that was expanding at a phenomenal rate. She worked hard to get where she was. She poured all her energy into her work. She barely had time for a personal life, but that didn’t bother Mary. She knew there would be plenty of time for that after she had gotten where she wanted to go. Ten years and she was already playing with the big boys. She was a mover and a shaker. She loved her work and as good as she was at her job, she just didn’t see it coming. She was stunned when the announcement came. Apparently, the company had expanded a little too quickly. Bankruptcy put an end to the life that Mary loved. Mary’s world ended the day she lost her job. I used to think that the end of the world would come in a blaze of glory. I used to think that when the world ended there would be plenty of warning. I used to think that if you paid enough attention to what was going on around you, you would be able to tell when the world was going to end. But that was before a doctor came into a room and told me that they had found a tumour that needed to be removed immediately. The end of the world came quietly without any fanfare at all. It hit me like a ton of bricks, without any warning what so ever. The world came to an end. It hardly seems fair that the world can come to an end so suddenly. I for one would have liked a little notice. WOW these have been busy days around here! My head is spinning from all the stuff that we have been doing. From conversations about life’s big questions at our pub-nights, to explorations of the intersection of science and faith for our Morning Brew conversations, to exploring new images about the Nature of the Divine in our Adult Education classes, I’ve spent most of this week steeped in progressive Christian theology. I will confess that when I discovered that the story about Jesus raising Lazarus from the dead is the assigned gospel text for this All Saints’ Sunday, I began to fixate upon an image of Jesus that is portrayed in the shortest sentence in the New Testament: “Jesus wept.” and I felt like weeping myself! I mean, what is a progressive preacher supposed to do with a story about raising the dead back to life on a day like All Saints Sunday? The temptation to avoid this text altogether was almost irresistible. But if a progressive approach to scripture is a way forward for Christianity, then we progressives are going to have to deal with challenging stories about Jesus. Wrapping our 21stcentury minds around a first century story that casts Jesus as a miracle worker is not going to be easy. The Church is on life-support and simply doesn’t have time for old and tired arguments about whether or not Jesus was some sort of supernatural entity who can literally raise people from the dead. Not even the best that medical science has to offer can raise someone who has been rotting in their tomb for three days. Humans haven’t figured out how to do that yet, so I’m pretty sure that this story has to be about more than raising a rotting corpse because if Jesus isn’t fully human, then Jesus doesn’t really have anything to say to us. We are not supernatural beings. We are human beings. So, I’m not much interested in learning how to live the way a supernatural being might live. I am interested in learning how to love the way Jesus the Human One, loved. For days I’ve been searching this text trying to find something to show me what it is the anonymous gospel-storyteller that we call John might be able to tell us about who and what Jesus was, is, and can be. But I just couldn’t seem to see the point of this story. I have never really seen the value of this story for those of us who live in the 21stcentury. So, I gave up and decided to clean up my office. There were papers strewn all over the place. I began by trying to organize my notes from this week’s events. I figured I might at least get things organized so that each event next week I could pick up I had left off. It felt good to be making progress. I had our pub-night conversation summarized and was working my way through MORNING BREW when it hit me. It was right there in the audio recording that I was summarizing. I heard myself describing an image of God from the 13thcentury mystic Meister Eckhart. Eckhart talked about imagining the MYSTERY of the Divine as if the Divine were boiling. Think of a vast cosmic ooze that is boiling away and up bubbles a Creator, and no sooner does the Creator bubble appear than another bubble bursts forth, this one is the Spirit, and suddenly another bubble, the Christ….but for Eckhart, the Creator, Christ, and Spirit are not all there is to this cosmic bubbling, what we see and experience are just the bubbles. The reality that we often fail to imagine, is that there is so much more swirling around beneath the bubbling surface of this vast cosmic ooze. Suddenly, I felt a bit like Jed Clampet in the Beverly Hillbillies, “when up from the ground came a bubbling crude. Oil that is. Black gold. Texas tea”. I felt like I’d hit pay dirt. All these years of trying to figure out what really happened 2000 years ago, and I’d missed what was right there in front of me. Lazarus come out! Jesus wept! How could I have missed what’s right in front of my eyes? It’s Hebrew 101. How many times and how many professors tried to drum this into me? When you read ancient literature always remember: “everything is in the name.” Start with the name and the meaning will begin to appear! Why do you suppose they told this story? Why do you suppose they told this story this particular way? All these years of struggling to understand this gospel story and getting hopelessly caught up in trying to explain how it is that Jesus might have been able to raise a dead man from the grave. Searching, for some reasonable explanation. Perhaps Lazarus wasn’t really dead. I mean 2000 years ago, if he’d slipped into some sort of state where his heart-rate and breathing slowed down to such an extent that people thought he was dead, well they might have buried him before he recovered. The ancient world is full of stories of people being mistaken for dead. There must be a perfectly good scientific explanation for this story. Can’t find a reasonable explanation? How about we just settle for reality that we will never know exactly what happened and we will simply have to accept that Jesus was so remarkable a human being that over the years the stories that his followers told were bound to have been exaggerated? I mean, I know how to tell a good story. I know that the secret to a really good story is a kernel of spectacular truth that you weave marvelous details around in order to get to an even more spectacular truth. Remember the bubbles bubbling away. Bubble, bubble, bubble, the bubbles are not the point, what’s happening beneath the bubble, beyond the bubbles. As Lazarus bubbled to the surface, I finally began to realize that Lazarus is not the point of this story. Then Jesus’ bubbled to the surface, and I began to wonder, maybe Jesus isn’t the point of this story either. Then it was as if the Jesus bubble burst right before my eyes and up through the cosmic ooze came a bubbling crude. Suddenly I could see power, the amazing power of resurrection, but not Lazarus’ resurrection, not Jesus’ resurrection, not even our resurrection, but resurrection nonetheless. It’s all in the name! Lazarus! I raced to my Hebrew dictionary. It wasn’t there. No Lazarus to be found. It must be Greek, so I flipped through the pages of my Greek lexicon until there it was Lazarus, the Greek for the Hebrew Eleazar. Eleazar = break it down El means God. eazar from the verb: to help, God is my help. Ok, maybe, God sure helped Lazarus, but how does that help me? And then it hit me! Eleazar, the son and successor to Aaron. Aaron the brother of Moses. All these years of reading and studying this story, how could I have missed it? Aaron the first high priest of the people of Israel and Eleazar is Aaron’s successor. Eleazar the supreme representative of the priesthood who held the office longer than any Jew before or since Jesus. I might have missed it, but there is no way that the people at the turn of the first century would have missed it. Why would the anonymous gospel-storyteller that we call John tell this story and why would he tell it this way? Was he trying to tell his listeners something about the priesthood? New Testament scholar, John Dominic Crossan reminds us that the stories in the gospels mimic the teaching style of Jesus. Jesus taught through parables. Parables are stories designed to enlighten his listeners to the truth. Dom reminds us that you don’t ask the same questions of parables as you do of history. Nobody ever worries about whether or not the story of the Good Samaritan actually happened, because it makes absolutely no difference whether or not it actually happened because the story tells us something that is true about life. The writers of the New Testament, says Crossan, imitated Jesus’ teaching style and taught their listeners the truth about Jesus using parables about Jesus; parables like the two different birth stories in Luke and Mark. These stories are not history, they are parables designed to teach their listeners that Jesus was very special; more special even than Caesar at whose birth legend has it, a star appeared in the sky. The writers of the gospel communicated the truth about Jesus through story because history hadn’t been invented yet…the concept of history would take several hundred more years to develop. So, if we look at the story of the raising of Lazarus not as history but as parable, what truth about Jesus can we learn? Well for starters we can stop worrying whether or not it actually happened. The truth in this story doesn’t rely on our ability to believe the unbelievable. Lazarus the very name itself is the biggest clue. The priesthood. The religious authorities of the day were as good as dead. Religion lay rotting in the grave. The religion of Jesus’ people had been killed by the long years of occupation by foreign gods and there was nothing left to pray over but a rotting corpse, a corpse, which Jesus called back to life. Years of occupation from foreigners and their gods had left the priesthood bound and gagged and defensively hovering in the caves of the dead. Jesus wept over the state of Lazarus and called the priesthood out from the dead. The anonymous gospel-story-teller that we call John let his story bubble up in ways that would have caught the attention of his late first century audiences. As this story bubbles up in us, can we see our own story in this parable? Can we see that Christianity is bound up held captive and lies rotting in a tomb of our own making? Some say Christianity is dead. Others say Christianity is held captive by those to whom the gospel, the Good News that whatever God is, God is LOVE, is so foreign to them that it’s as if they are following some other god. Others say Christianity is on life support and it’s time to pull the plug. As for me, well I believe that only Jesus can bring Christianity back from the dead. I’m not talking about the Jesus whose been dressed up in foreign clothes, not the vengeful, vindictive, Jesus, or the mealy-mouthed, sweetness and light Jesus. 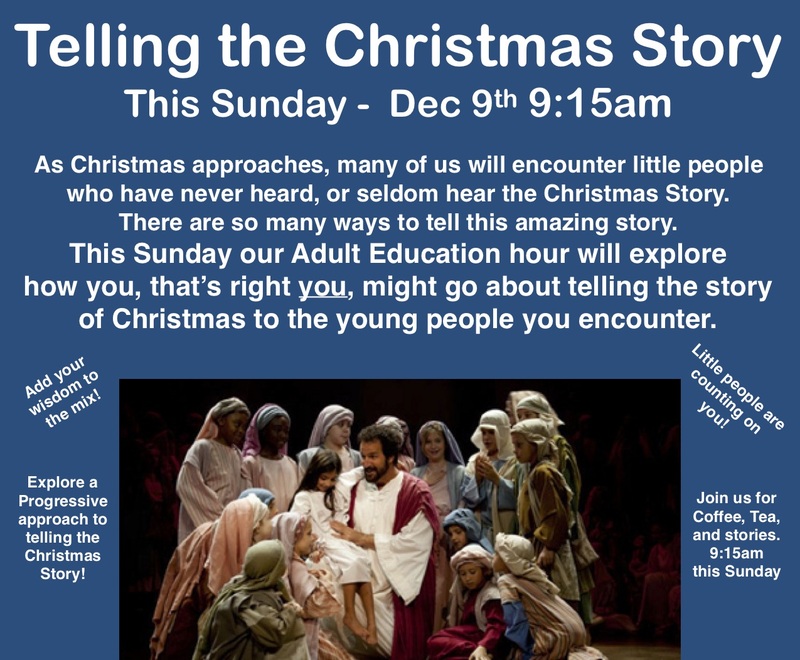 I’m talking about the Jesus that the gospel story-tellers told their stories about. The Jesus that continues to bubble up from within a story that runs deeper than the bubbles. I’m talking about the radical Jesus, the scandalous Jesus, the Jesus who wept over the sorry state of the religion of his people. The Jesus who could not tolerate a society that kept so many people in poverty or the religious establishment who co-operated with the powers that be in order to maintain the status quo. The Jesus who reached out to those on the margins of society and called the rich and the powerful to reach out beyond our comfort zones. The Jesus who abhorred violence and walked in the pathways of peace. The Jesus who was so disgusted with the state of the priesthood that he turned the tables in the temple. The Jesus who preaches the radical gospel that God is LOVE and that loving God is about loving our neighbours and loving our enemies. This Jesus who preaches love, compassion and grace and not judgment, tyranny and hate. This Jesus has the power to call Christianity out from the depths to which we have sunk. When the Gospel According to John was written, the Temple had been destroyed and many of the Jewish people had escaped Jerusalem and the followers of the Jesus escaped Jerusalem. Just as Jesus reached into the riches of the Jewish tradition so too did the religious authorities of who escaped to Jabneh who reached into the riches of their Jewish tradition and out of the destruction of the Temple two new religions were born: Rabbinic Judiasm and Christianity. Out of this experience we reached into the depths of the best of who we can be, the best in the Jewish tradition and the best that was developing in the Christian tradition and out of that new life was resurrected. For us, the followers of Jesus, Jesus can bring life where there is death. This Jesus knew nothing of the church’s theologies or doctrines. Jesus knew nothing of the doctrine of the fall, or of original sin, or the Apostles’, Nicene, or Athanasian creeds, or of judgments based on these well-intentioned attempts to sort out who and what Jesus was and is. Jesus was a good Jew who understood that the Creator of all that is and ever shall be loved creation and all its creatures and this being, this Creator, this Source, this YAHWEH this great I AM, the one Jesus called his ABBA, continues to love creation and all its creatures and so this Jesus understood himself as someone who comes that we might have life and live it abundantly. And so, on this All Saints Sunday, we should all take a good look in the mirror and see what this Jesus would see in us. Each time we look into a mirror we must remember that in everyone, Jesus saw a beautiful, beloved, child of God. Now, more than ever we need to see ourselves as beautiful, beloved, children of God, saints, sacred, holy, children of the ONE who is LOVE. We must look beyond our mirrors and see everyone as beloved children of the ONE who is LOVE. We must be able to look into the eyes of those we see as enemy, into the eyes of those we fear, into the eyes of the stranger and we need to see in those eyes a beautiful, beloved child of the MOST HOLY, a saint, sacred, holy, child of the ONE who is LOVE. Friends, Jesus is weeping. Can we hear Jesus calling out from the dead? Can we be called from the dead? Surely, it is time to let the dead bury the dead. Let the worst of our religions die. Let those things in Christianity that have caused pain and agony in the world, die. Let us come out from the tombs we have made and unbind one another from our respective grave clothes so that we can dance and sing? So that we can dance to the life around us! So that we can rejoice in your sainthood! It’s all in the name. And the name is LOVE. 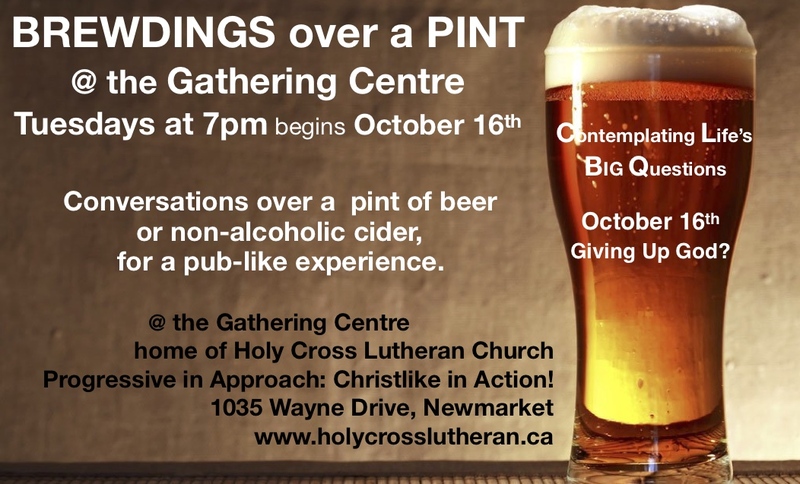 Join us at the Gathering Centre: home of Holy Cross as we explore the intersection between science and faith. Over a pint we will contemplate Giving Up GOD? I think God might be a little prejudiced. In the spirit of St. Francis, I bid you peace. Please take a long deep breath…..Peace. Now if you would focus your attention upon these two beautiful bouquets upon the altar. 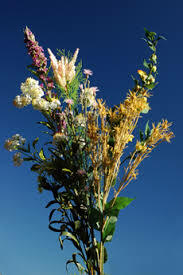 Yes, I am well aware that these bouquets are little more than a collection of weeds. Yes, I know that many of us were taught by the Church, I’m talking here about the capital “C” Church; we were taught by the Church that flowers don’t belong upon the altar. Flowers upon the altar distract people from the presence of God and the acts of worshipping God, so if we must have flowers in the sanctuary, we were all trained to place them anywhere other than upon the altar; the holy of holies, the place where God works in, with, through, and under the bread and wine to touch us, love us, strengthen us, and empower us. We can’t, reasoned the Church, we can’t have people distracted from the actions of God that center upon the altar. So, the Church banished flowers from the altar. But on this the feast day of St. Francis, I asked Carol to gather up some bouquets of weeds and place upon the altar. I did so, because these bouquets are beautiful! On this the Second Sunday of the Season of Creation, we celebrate Humanity. In Mark 7: 24-37, the anonymous gospel storyteller that we call Mark reveals that Jesus ain’t no super-hero! Jesus is a flesh and blood, down to earth, fallible, short-tempered, and sometimes narrow-minded human being, very much like the rest of us. The anonymous gospel storyteller that we call Mark, provides us with the shortest of the four gospels — just 16 brief chapters. But don’t let that fool you. The writer of this account of the life and times of Jesus of Nazareth packs more action into his short gospel than any of the racy novels, spy thrillers, mystery novels or tell all biographies that you can find today on Amazon. Today’s reading occurs barely half way through our anonymous storyteller’s account of the life, death, and resurrection of Jesus and already Jesus has: been baptized in the river Jordan and been tempted in the wilderness by the evilest of villains, Satan himself. Jesus has gathered together a motley crew of disciples, and he has cast out demons, cured lepers, healed the sick, the lame, and the blind. Jesus has preached to the multitudes, appointed apostles, and he has even been restrained from preaching by his own family because they feared that Jesus had gone out of his mind. Jesus has turned away his own mother and brothers in favor of teaching the crowds of people who gather to hear what this itinerate preacher has to say. Jesus has taught the crowds in parables, calmed the stormy sea and if that wasn’t enough he brought a dead girl back to life only to be rejected and scorned in his hometown of Nazareth. Jesus has had to face the death and decapitation of his cousin and fellow evangelist John the Baptist. He has somehow managed to feed five thousand people with just five loaves and two measly fish. To top it all off, Jesus, this walking, talking, healing, miracle working, super-hero has managed to walk on water. It is but a distant memory now. The details are all but forgotten. But I can still feel the emotions as if it were yesterday. I couldn’t have been more than about five or six years old. I desperately wanted to be a big girl. I wanted, so very much, to show my mother that I could help her. Still, I can almost feel the heat and see the steam as it rose from the iron. I knew it was dangerous. I knew that the heat that pressed the cloths could burn me. But I wanted to help. Either I nagged my mother so much that she finally gave in, or her own loathing of the chore of ironing was so intense that she just couldn’t help herself, and somehow taught her little girl. I can’t remember Mom showing me how it was done. But, I do remember carefully moving the hot steaming iron over the dishtowels and pillow cases and marveling as the creases disappeared. I remember carefully folding the cloth and then magically creating new sharp creases in the folds. I remember the pile of neatly pressed items growing in stature. I can still feel the pride welling up in me as I completed my work. I was a big girl. I was helping my Mom. I was brilliant! I was so proud of myself and proud of the fruits of my labour. I could wait to show my Dad when he got home. I was a good little worker! And yet, even now as I remember the pride swelling in me, I remember also, the quick rebuke. Don’t be a smart-alec! Who do you think you are? I don’t think my Mother actually said the words, “Pride goeth before a fall.” but my memory of these events provokes these words in me. The words well up inside me. Indeed, the words are part of my being – “pride goes before a fall” – don’t get too big for your britches. All too often, I feel the self-rebuke. Who do you think you are? Oh, there are other memories other clichés. If a job is worth doing, it’s worth doing right. Take pride in your work. I heard these phrases from parents and teachers as I grew up. But somehow the warnings not to be proud of myself, these warnings undid any pride that I could ever muster. BRUNCHtalks have begun! We are exploring a new way of gathering, in what will be a kind of progressive Christian laboratory. The video is an edited version of our gathering that was filmed using a stationary camera. We are learning as we go. Have a look and feel free to add a comment. Our goal is to spend summer Sundays learning new ways to articulate what it means to say we are: Progressive in approach: Christ-like in action! Click here to view the notes that form an outline of the gathering. Religion is never quite perfected.Religion evolves as the artform is reinvented over and over again. The root of the word religion is “l i g” lig, which is also in the word “ligament.” It means to connect, to join together, to unite, to bring everything together in one body or one wholeness. The little word “re” simply means “again.” Religion is a word that means to re – connect, to put together again. Religion is about binding us together into ONENESS with the ONE who made us. Religion is about connecting us to God, to Creation, and most importantly to one another. We re-connect through the various religious artforms that express the who, what, why, and the how of who we are. 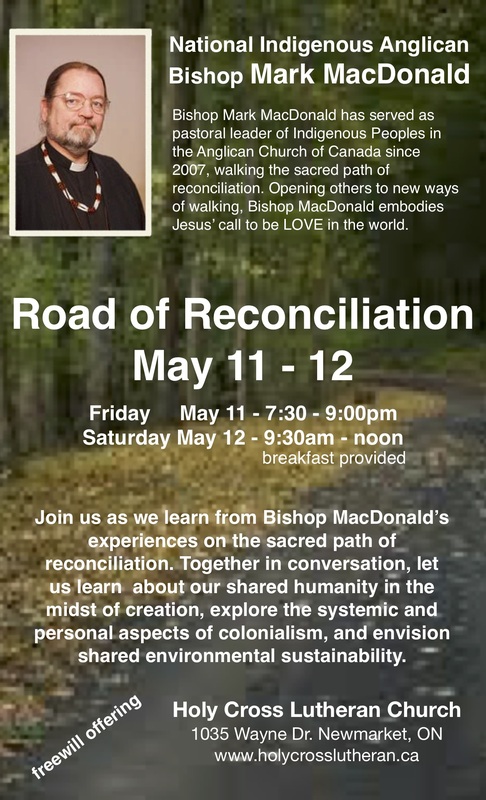 Imagine what it might mean to practice the art of re-connection from the perspective of Progressive Christian Religion. While I chuckled with delight at my granddaughter’s ability to stump her parents, I couldn’t help hoping that they might have spared me the prospect of trying to answer the unanswerable question of the ages. Little Audrey’s line of questioning echoes the questions of all the generations that have gone before her. I suspect that her parents swerved her theological challenge to their answers in much the same way as generations of parents have, by passing the question back to the generation that went before them; perhaps hoping that there might be an inkling of an answer that they might have missed along the way. But even though as Audrey’s Gran, I have spent the better part of my adult life dwelling in Audrey’s questions about the nature of reality, when it comes to questions about who made us, and who made God, all I can really do is look back to the wisdom generated by the generations who have gone before me. Just like my granddaughter, each answer that I discover, only generates a deeper more piercing question that leaves me to cope with the MYSTERY that lies at the very heart of reality, that which is beyond every answer, beyond the beyond, and beyond that also. So, this morning as we peer back beyond the beyond, we turn our attention to a story that has been handed down from generation to generation. A little girl held tightly to her grandfather’s hand as together they walked toward the centre of town. Suddenly a tall, beautiful, woman dressed from head to toe in a long black flowing gown appeared in the street just ahead of them. The woman’s flowing gown gave the impression that she was floating rather than walking. Beneath the black flowing cloth which covered the woman’s head, was an elegant face encased by restricting starched white material. Below the smiling woman’s face, hung a slender silver cross. The little girl tugged on her grandfather’s sleeve and asked, “Who is that, Grand-dad?” The little girl’s grandfather explained, “That my dear is a witch! Now mind you behave yourself or she will take you away and boil you in her stew pot”. The little girl squeezed her grandfather’s hand tightly and resolved to stay far away from witches no matter how beautiful they looked. I couldn’t have been more than about four years old when my grandfather and I encountered that Roman Catholic nun on the road in Belfast, Northern Ireland. I can’t tell you how many times as a child in Belfast, I was warned to behave myself or the nuns would come and take me away. Later I would learn that the threat of nuns was often used by protestant families to keep children in line. For generations, Catholics and Protestants in Northern Ireland have spent most of their fighting with their neighbours about how to love God that they’ve barely had time to love God and they’ve never really learned how to love their neighbours. When I was growing up, I was taught that there are good religions and there are bad religions. It wasn’t very complicated; our religion was a good religion and everyone else’s religion was a bad religion. My parents left Northern Ireland to avoid the warring madness between Protestants and Roman Catholics euphemistically known as the “Troubles.” I know all too well the mess we humans can get into when we forget that there is more than one way to live and move and have your being in the MYSTERY that we call God.